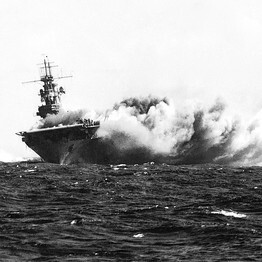 I first became interested in this naval encounter after watching the HBO series the Pacific. So when I found myself having to make an eighteen hour cross-country road trip, I thought I’d listen to Neptune’s Inferno on CD. I wasn’t able to finish the fifteen-CD-audio-book on that trip. You can only take so much death and destruction. 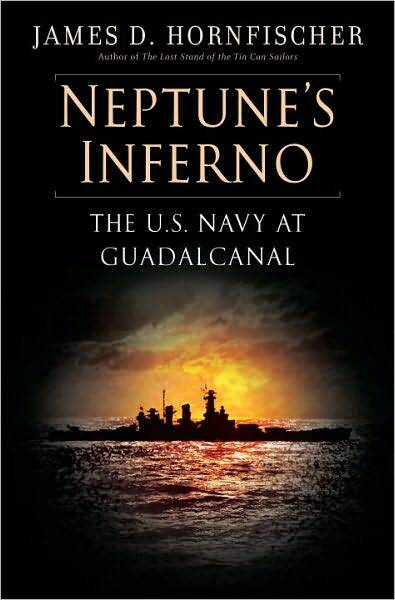 This book details numerous naval battles in and around the waters of Guadalcanal during November of 1942. It isn’t a story with a beginning, middle, and end. 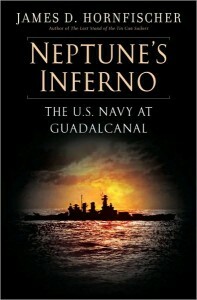 What it is is a play by-play of every battle that took place with anecdotes thrown in to bring the story to life. As such, it isn’t a book that was easy to follow, especially without the benefit of maps and images. My attention waned after listening to one story after another of sailors being maimed and killed. The dry delivery of the audio book’s narrator didn’t help. Yet there were numerous anecdotes that stood out. One story involved an attempted rescue of two downed Japanese pilots. One a teenager and one a few years older. The younger pilot put up his hands in surrender. The Older pilot took out his pistol and shot the younger pilot then swam away from the would-be rescuers. Another example involved a young sailor just nineteen years old who was severely burned after his ship was attacked by a Japanese destroyer. When asked by another sailor how he was doing he replied, “I’m dying but I don’t want to.” He didn’t survive. While there are individual stories of heroism, the deaths by drowning, fire, shark attack, asphyxiation, gun fire, and explosions overwhelms the few positive stories. This is one period in history where I’m glad I wasn’t around to witness it firsthand. me. In my opinion, if all website owners and bloggers made good content as you did, the net will be a lot more useful than ever before.